One of the UK’s leading conservatory suppliers and conservatory installers, the National Installer of the Year for Double Glazing Windows and of the highest security composite doors, PVC-U front and back doors, Solar Panels and fascias, soffits and guttering. 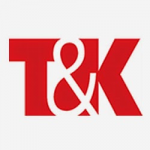 T&K Home Improvements promises to give you a terrific service, starting with a no obligation survey, advice and quote. Founded in 1979, we’re an established, family-owned company that takes pride in our service to customers. Whether it is PVC-U double glazing, energy saving windows, a front door, a back door, soffits, fascias and guttering, a beautiful UK conservatory or our range of renewable energy products, we promise to treat your home as if it were our own throughout the installation process.